A majority of Canadians are concerned about U.S. President Donald Trump’s claim that a trade dispute with his country will cost Canadians “a lot of money,” according to a new survey conducted by Nanos Research for CTV News and The Globe and Mail. The survey also found that many Canadians would be willing to respond to a trade war by boycotting U.S. goods and retailers, avoiding travel to the U.S., and supporting government aid for impacted Canadian steel, aluminum and automotive firms. Canada’s $16.6 billion slate of retaliatory tariffs on U.S. goods officially kicked in on Canada Day -- a 25 per cent surtax on more than 100 U.S. steel and aluminum products, and a 10 per cent surtax on more than 70 other categories of goods. It’s Ottawa’s response to Washington’s steel and aluminum tariffs on shipments crossing the U.S. border. With Canada-U.S. trade tensions showing no sign of abating, the majority of Canadians said they are concerned (38 per cent) or somewhat concerned (35 per cent) about Trump’s claim that the trade dispute will be costly for Canada, according to the Nanos survey. Just over one in four said they are somewhat not concerned (14 per cent) or not concerned (12 per cent). One per cent said they are unsure. That anxiety was found to be strongest in Quebec (73.8 per cent), where exports to the U.S. accounted for 70 per cent of the province’s total in 2017. 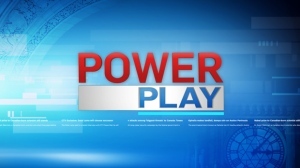 “The key takeaway here is that Canadians are ready to go to war with the United States when it comes to tariffs and retaliation, but they are extremely concerned about the negative impact that a poor relationship with the United States will have on the state of and strength of our economy,” pollster Nik Nanos told CTV News. The majority of Canadians said they are likely (43 per cent) or somewhat likely (29 per cent) to boycott U.S.-made goods if there is a trade war between the two countries. Twenty-six per cent said they are either somewhat unlikely (10 per cent) or unlikely (16 per cent) to do so. Two per cent said they are unsure. When asked how likely they were to stop shopping at U.S. retailers in Canada in the event of a trade war, nearly seven in ten Canadians said they are likely (43 per cent) or somewhat likely (25 per cent) to stop. Close to three in ten said they are somewhat unlikely (13 per cent) or unlikely (16 per cent) to stop shopping at U.S. retailers in Canada. Three per cent said they are unsure. That sentiment is backed up by the recent rise of Twitter hashtags including #BuyCanadian, #BoycottUSProducts and #BoycottUSA, used to spread tips on leveraging purchasing power to defend Canada’s honour. Canadian travel dollars are a key driver of the U.S. tourism industry. But what if the snowbirds stop flying south? Overnight trips from Canada rose 4.8 per cent to 20.2 million in 2017, snapping a three-year decline, according to data from Statistics Canada. The Nanos survey also found that many Canadians are willing to halt travel south of the border, and potentially reverse that upward trend. When asked how likely they were to curtail or stop travelling to the U.S. in the event of a trade war, a majority of Canadians said they are likely (57 per cent) or somewhat likely (16 per cent) to do so. One in four said they are somewhat unlikely (8 per cent) or unlikely (17 per cent) to curtail or stop travelling to the U.S. Two per cent said they are unsure. “Probably at the very top of the list, in terms of a target, would be America’s tourism industry and how it could be impacted because Canadians will look at alternatives to the United States when it comes to their summer vacation and their Christmas vacation,” Nanos said. Ottawa has not fully spelled out what its next steps would be if U.S. tariffs on steel and aluminum were hiked from the current level, or tariffs on vehicles from Canada bound for the U.S. were imposed (as previously threatened by Trump). The Nanos survey indicates significant support for a financial lifeline from government coffers to bolster impacted companies. The federal government offered up to $2 billion in aid to Canada’s steel, aluminum and manufacturing industries as part of its final retaliatory tariff list. When asked their level of support for the government providing financial aid to the steel and aluminum companies affected by U.S. tariffs, seven in ten Canadians said they would support (39 per cent) or somewhat support (31 per cent) this decision. Twenty-four per cent said they would somewhat oppose (13 per cent) or oppose (11 per cent) this. Six per cent said they are unsure. Fifty one per cent of Canadians said they would support (17 per cent) or somewhat support (34 per cent) the government providing financial aid to automobile companies affected by U.S. tariffs, while 42 per cent said they would somewhat oppose (21 per cent) or oppose (21 per cent) this decision. Six per cent said they are unsure. 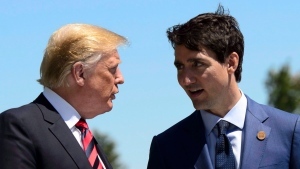 Keith Head, a UBC Sauder School of Business professor who specializes in trade policy, told CTV News that if imposed, U.S. tariffs on vehicles from Canada would have a significant impact. “Every single car that’s made in Canada right now is made by companies that have factories in the U.S.,” he said, noting Toyota, Honda and General Motors as examples. He said those companies could switch car production to American factories. “On our side, it’s going to be hard. We aren’t self-sufficient on the part side of things, we have a small number of factories…so it’s going to be particularly rough on us,” he said. Nanos conducted an RDD dual frame (land- and cell-lines) hybrid telephone and online random survey of 1,000 Canadians, 18 years of age or older, between June 26 and 28, 2018 as part of an omnibus survey. Participants were randomly recruited by telephone using live agents and administered a survey online. The results were statistically checked and weighted by age and gender using the latest Census information and the sample is geographically stratified to be representative of Canada. The margin of error for a random survey of 1,000 Canadians is +/- 3.1 percentage points, 19 times out of 20. The research was commissioned by The Globe and Mail and CTV News and was conducted by Nanos Research.